“I’m not planning to be a bandleader just yet. I guess I’m still hanging in between the non-conformism that is essential for a leader and the adaptability that comes with being a freelancer. And I’m having great fun doing all those different things,” says 29-year old alto and soprano saxophonist Jasper van Damme. Van Damme is an accomplished, mature musician who concentrated on his playing instead of spending much time writing original tunes. His fiery alto style is heard in numerous groups ranging from big band, Latin, and modern quartet jazz to the crossover jazz of the tongue-in-cheek, highly proficient outfit Tommy Moustache. Good humor combined with a cool alt-rock stage presence is the icing on the musical cake that Tommy Moustache has brought to the fore for the last two years. Tommy Moustache released their debut album Tommy Moustache in 2014 and has kept on playing their idiosyncratic jazz funkrock on a regular basis. Van Damme resists the temptations of honks, squawks and funky licks in favor of a kind of structured buoyancy. It ties the music together. 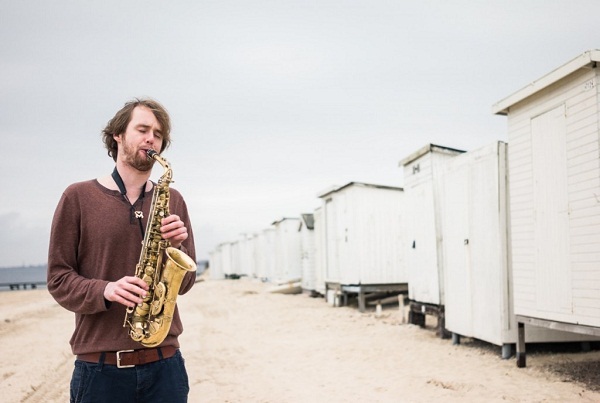 Jasper van Damme is a prize-winning saxophonist (Erasmus Prijs, Dutch Jazz Competition and Conservatorium Talent Award) and a sought-after sideman. His resume includes appearances at North Sea Jazz Festival, Concertgebouw Amsterdam and Carnegie Hall. Van Damme currently plays in Tommy Moustache, Benoit Martiny Band, Rumbata Beat Band, Loran Witteveen 5tet, The Steeplepoy’s Revanger, Dutch Concert Big Band and BVR Flamenco Big Band.